Opinion: What do investors look for? As they are aware that certain things like lunch and handouts would be offered, they come there to enjoy freebies. Three, as they understand that even the entire issue is tipped in deceit, they come there to meet the organisers of such conference as they look for ready arrow-heads or local drones to partner in their endless quest to drain the host country of their scarce resources. The incentive to pen this article had arisen from several misconceptions people and government make about attracting investors t our country. Due to this misunderstanding, hard earned resources are wasted in seeking for investors who would not come. First, every investor should be seen as a woman. A woman can be a prostitute or a wife! But a man must make himself attractive to catch the fancy of a woman. Meanwhile, it is worth noting that no man worth his taking invites a prostitute. It is the ever-growing attitude of the prostitute to review her environment and find out people who have the financial muscle and economic means for which she can do anything to catch their attention. It is when she identifies these people of great means that she packages herself so as to make herself to be attractive in their eyes. It is the investor in the normal circumstance that must look for a place to invest not really vice versa as we are wont to think given our over six decades of doing this wrong thing. A country that wants to attract investors to its economy cannot engage in deception. Most times we see delegations going around under state sponsorship to other countries, ostensibly marketing for investors. During such time brochures, investors’ forums and road shows are organised with certain targeted persons and institutions being invited. But what often come out of such deceitful show? First, people invited do not come there to make investments but to confirm much of the negative information they have about the place that had made it an investors’ hell. In the last 80 years or so the developing countries are the ones led by this illusion to empower delegations and waste scare resources to travel to developed countries to look for investors. The advanced countries welcome the move and most times praise such governments for doing much to encourage investors to invest in their economies under the so-called ‘Glasnost’ and ‘Perestroika’. Well the emphasis is on the word “praise”. No stranger would ever praise someone if he does not see loopholes to feast upon. Being there, what merits do the economies of those countries have? First, we help to offer those economies the much-needed opportunities to reach and maintain full employment in consonance with the dictate of both Marshallian and Keynesian concepts. By those endless pursuits of these ill ideas, the countries seeking for investors are led by invisible hands of Adam Smith to make their host countries’ hotels and tourism subsectors of their economies to remain ebullient and modernized. The multiplier effects or chain impacts of these on other sectors of the economies are better imagined. On the other hand, the country seeking investors waste scarce resources in “anticipation” that the investor forums will roll in streams of benefits in the future. However, this had not been so as such economies have often been more impoverished, inefficient and incapable of competing against other countries in the long run. How then can this kind of ills be redressed? A country that wants to develop must abandon this kind of growth trajectory. It must re-examine itself and work hard to make its economy more attractive to both internal and external investors. How can that be? In Nigeria for instance, this should start with our laws. Are our laws and judicial system really effective and efficient in absolute and relative terms and competitively superior to our neighbours system when compared? What benefits or ills could come on any person or corporate body that moves his/her investments into or outside our country? If the investors on balance of probability finds that he/she would lose if he is prevented from investing in the economy then we say without equivocation that he/she would do all within his/her power to ensure that the laws of the land is obeyed and the long-term interest of the entity is not jeopardized. However when an investor finds that the laws of the land have no element of equity and justice and people in such economy live just on ‘short-term’ basis, every available underhand practice or what is usually termed sharp practices would be devised by investors to reap and recover their investments (or capital) and also move out of such environments to a safer investment haven as offered by a more effective and efficient system elsewhere. The problem, which Nigerian government has not addressed from our time of independence in the 1960s has been that we have not had men who operated robust policies that attracted investors who in the true sense are not prostitute-investors. Investors that are generally subsumed as prostitutes do not grow the economy. They usually came in to harvest the economy instead of growing it. In all the countries in Asiatic regions that are today growing, one very understandable trend is that they attracted investors that acted the roles of the wife investors. They midwifed the economies and often looked at the long-term harvest that they would make from it than the short-term gain they can extract immediately. The laws in those countries prevented and penalised any kind of league between their local thieves and foreign counterparts involved in the so-called parlance of Foreign Direct Investments (FDI). This is kind of act that often encouraged unsteady movement of investible funds and which, in most instances, resulted in macroeconomic instability. Europe and America had developed mostly from investors that midwifed their economies, not prostitute kind of investors who are now being recommended by the developed world to the developing countries. 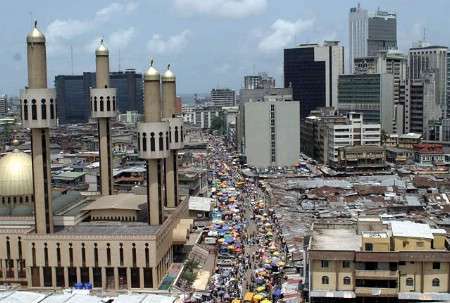 Nigeria had expended over three billions to chase investors since her independence in 1960. But where are those investors today? They have gone! They go just like ghost often shown in horror movies. Yet no lesson is learnt on why we should not continue to do this same act over and over again. Another issue after law and judicial system is the issue of quality of the public infrastructure. Most times people just write about it in abstract. However, much sense can be infused into it when you ask the question: how well do our public infrastructure compare with our competitors? Building roads, having rail system, telecommunications backbone, aviation industry, water ways, and power supply grid are one thing but how well are they superior to what our competitor countries have and provide? For us to attract wife-like investors into our economy, our public infrastructure must be superior in terms of effectiveness and efficiency to what our other competitors put at the beck and call of these genuine investors. Unfortunately, l usually lament when past leaders in this country look back at their eras in government as golden era in which everything, including public infrastructure was provided and well maintained. Far from it! The entire infrastructure provided since the times of independence had been made to serve those foreigners that built them than support the independent goals, which our political independence conferred on us. They served to provide (foreigners) with jobs while Nigerians remained more of hewers of wood and drawers of water. This underscores our dependence culture in another way. To make us unmake this syndrome therefore, the entire public infrastructure must undergo complete re-think. My friend, Aliko Dangote recently quipped that he saw no sense in going round to look for external investors when Nigerians if they are true to Nigerian spirits can invest in their own economy. There is no other truth than that. That is a fact that our local investors wary to invest in the local economy. This is a potent signal to external investors that, all is not well with our economy. No matter whether Pope Benedict is recruited to lead the marketing team, no genuine investor would believe the message. The external investors that “invest” in such economy come in as scavengers. When we look back at the various efforts in Nigeria to bring in external investors under the National Council for Privatisation and Bureau for Public Enterprise so as to stimulate the economy and the aftermath of it, we see clearly that it was a mere illusion to use that as a means to jump-start the and energise the private sector to assume the commanding height of the economy like in other countries. Today must of those companies commercialised and privatised under those schemes lie under the seabed like the 1912 Titanic ship. The fact is that the concept though noble was executed in such a way that instead of mid-wife kind of investors being brought into change the fortunes of the companies, the bureaucracies devised a contraption whereby the companies were handed over to prostitute- kind of investors. They are like drones not creative. The technocrat and their allies designed the contraptions in order to benefit directly from the short -term nature of their harvesters. The prostitute-kind of investors do not create jobs. They destroy jobs. Although in some economies where privatisation had been praised as successful, jobs have been created but under prostitute kind of investors, jobs are destroyed at home while equal numbers of the jobs are shifted abroad. My recent comments on the Bain Capital in the USA as it affects the Republican (GOP) presidential candidate, Mr. Mitt Romney clearly indicate that kind of experience. American jobs were destroyed and shipped abroad to Asia just because the main thrust of the Bain Capital philosophy was to extract the maximum benefit (profit) within so short a time. It was clear that such maximum extraction was not possible in the USA hence the choice to move such jobs to China where exploitation is at the zenith. It is this kind of predatory tendency that had posed great danger to capitalism since it received its blessing from great thinkers in 1776. It can also by extension rock a country’s stability. I do not think we can make headway under this present contraptions and misconceptions about our investors and the way of attracting them. We need to re-define our kind of investors. Our overall misconceptions and misperception brought about so many so-called investors who had nothing to invest but who came to balloon our corruption level out of proportion. They destroyed jobs and shifted them to their home countries while we now have millions of our skilled hands having nothing to do. We need to re-think. That re-thinking must not follow the same pattern as men of the Far East like parasites have developed all kinds of resistance to known medicine. We must take on the fight in an unusual manner just as America and Europe all have known that if we break the manacles over our necks their economic growth would be stunted. We must breathe fresh air into our thinking and stop going shopping for investors abroad. First thing must be done first. Forget about the investors for now and concentrate on providing the basic things that would make the so-called investors to come begging for accommodation. From vantage position, we shall only screen those genuine investors that have long-term interest in growing our economy for the overall profit of all stakeholders. The abundance of these kind of genuine investors is a delight to any economy and there is no glory worth more than that to bequeath unto generation yet unborn.